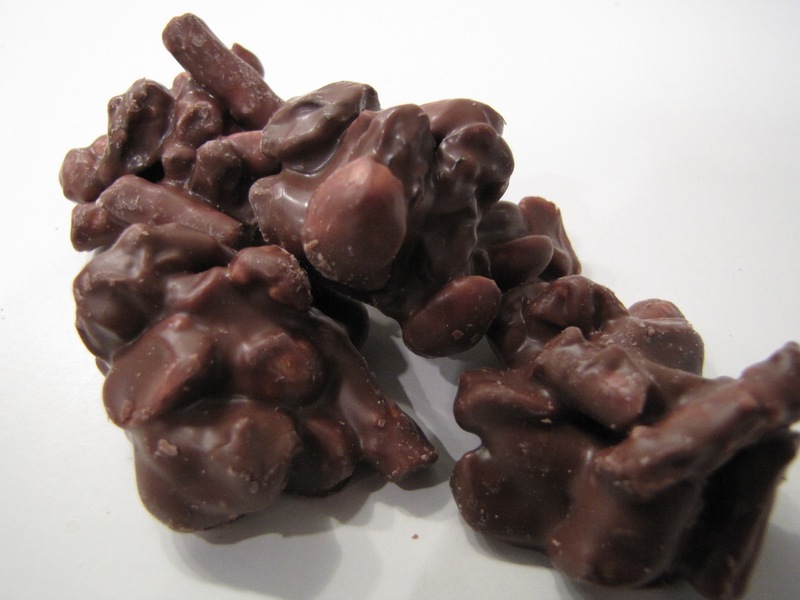 Peanuts, raisins, pretzels and chocolate make up the lumpy Rhode Island Rocks. I’ve never been a huge fan of chocolate-covered pretzels, so I was pleasantly surprised by the simultaneously chewy and crunchy, salty and sweet candy called Rhode Island Rocks. Invented by two out of work siblings and based on their mother’s recipe, the candies have grown in popularity over the last few years and can be found at dozens of locations in the state (as well as some stores in Connecticut and Massachusetts) and ordered online. If only every Rhode Island job loss story could end this way — and by that I mean, with candy.